WASHINGTON — The National Park Service can ban hovercrafts in Alaska's national preserves, a federal appeals court ruled Monday. The decision is the latest blow for Alaska moose hunter John Sturgeon, 72, in a decadelong fight that made it all the way to the Supreme Court in 2016. A three-judge panel on the 9th U.S. Circuit Court of Appeals ruled Monday that the National Park Service has authority over the river within the preserve. Sturgeon said the ruling was "obviously disappointing," however, "not unexpected," given the way judges asked questions during the hearing. It "was pretty obvious that they were trying to find a way to not rule in my favor," he said. 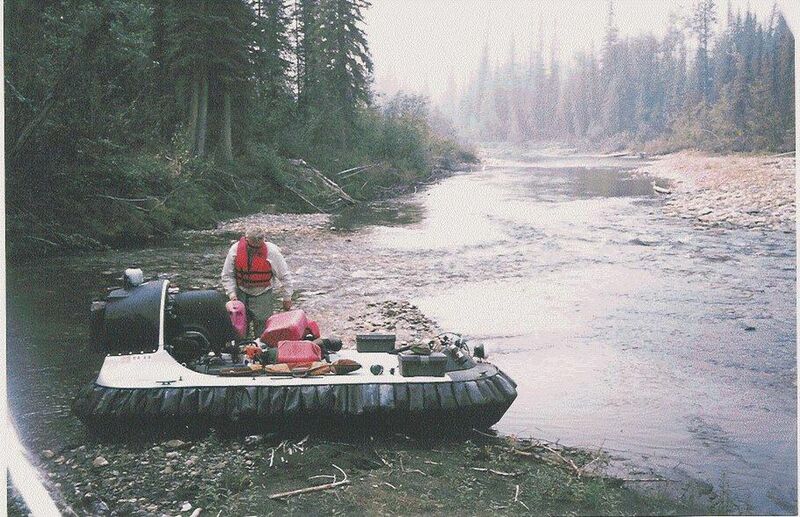 The case sprung from the plight of Sturgeon, who was told by park rangers in 2007 to stop using his hovercraft on the Nation River in the Yukon-Charley Rivers National Preserve. Sturgeon sued over the decision in 2011. The Supreme Court rejected a lower court's reasoning for barring Sturgeon's hovercraft use last year, but stopped short of saying that he had a right to use it. Instead, the high court sent the case back to the appeals court for reconsideration. The ruling did not go Sturgeon's way. Central to the fight is whether the Nation River belonged to Alaska, which allows hovercraft on waterways, and whether the National Park Service has the authority to regulate — and ban — the use of hovercraft on that stretch of river in the Yukon-Charley Rivers National Preserve. The preserve was set aside in 1980 by the Alaska National Interest Lands Conservation Act. The state of Alaska was once party to the case, supporting Sturgeon's claim, but the appeals court ruled in 2014 that the state didn't have standing to be involved. Sturgeon's hovercraft remains parked in his Anchorage yard, and he's been using an air boat of late, he said. He hasn't stopped moose hunting. He bagged a moose two weeks ago on the Nation River, he said Monday. Sturgeon said his attorney is still reviewing the ruling, but that he expects to press forward with another round of appeal. Sturgeon said that so far, the case has cost roughly $700,000, much of it donated by hundreds of Alaskans who support him. Conservation groups involved in the case were thrilled with Monday's ruling backing federal authority within the preserve. "The decision reaffirms the NPS has authority to manage navigable waters in Alaska's national parks — specifically those meant to preserve wild rivers — because that's what Congress intended," said Katie Strong, staff attorney for Trustees for Alaska.